The subscription business model has gone mainstream with companies like Dropbox, Netflix, Adobe and Zipcar because it offers a predictable, recurring revenue stream. However, in their eagerness to earn more revenue and keep up with trends in global e-commerce, too many businesses want to dive headfirst into the subscription commerce pool. Commerce platforms not designed for the selling of digital goods are unable to cater to the evolving business models and specific features needed to sell digital goods and services online. eBusiness firms with the constraints of an ill-suited technology will lag behind customer needs, miss out on monetizing digital content, and neglect launching new product offerings. 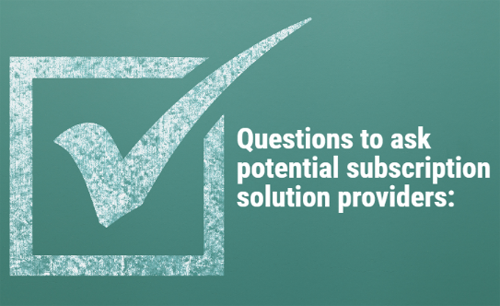 Be wise: before taking the plunge, let’s examine some questions to think about when it comes to one’s own business, as well as questions to consider asking potential subscription solution providers. Already selling through an existing solution? This could be a good time to re-evaluate a billing solution because it’s likely that there may be areas lagging behind industry best practices. •	Do I plan to expand my market beyond a single region? •	What internal resources do I have to devote to the development and/or integrations of an outsourced provider? •	Am I just looking to augment my existing ecommerce infrastructure, payment contracts, customer service and/or on-staff developers? 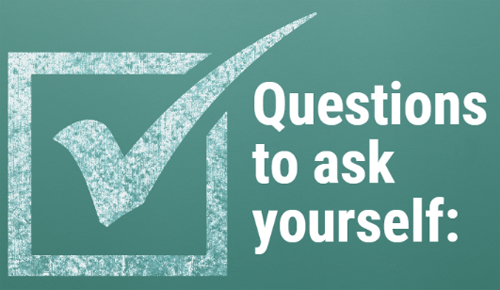 •	What upcoming products or services could I test with an outsourced provider? •	How much do you cost? What does that include/not include? •	How long will it take to implement your solution? •	Are you flexible enough to meet my current and future products or pricing models needs? •	Are you scalable enough to cope with my anticipated business growth? •	Do you comply with the regulations that are relevant with my business? •	How well do you integrate with my existing sales management and reporting systems? •	Can you support my indirect sales and channels strategy? The right solution will address a company’s unique business needs and capabilities as well as the needs of its customers who will be interacting with it. Companies must analyze their business needs for today and anticipate for tomorrow before evaluating providers to ensure the correct solution is implemented. Craig Vodnik is co-founder of cleverbridge - a global full-service ecommerce provider for more than 300 international software and subscription companies including Avira, Corel, Dell, Malwarebytes and Parallels.